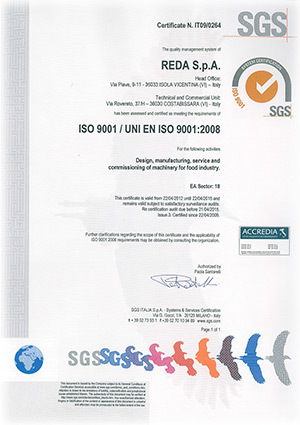 Total Quality: the concrete objective that REDA S.p.A. pursues every day with the maximum care. 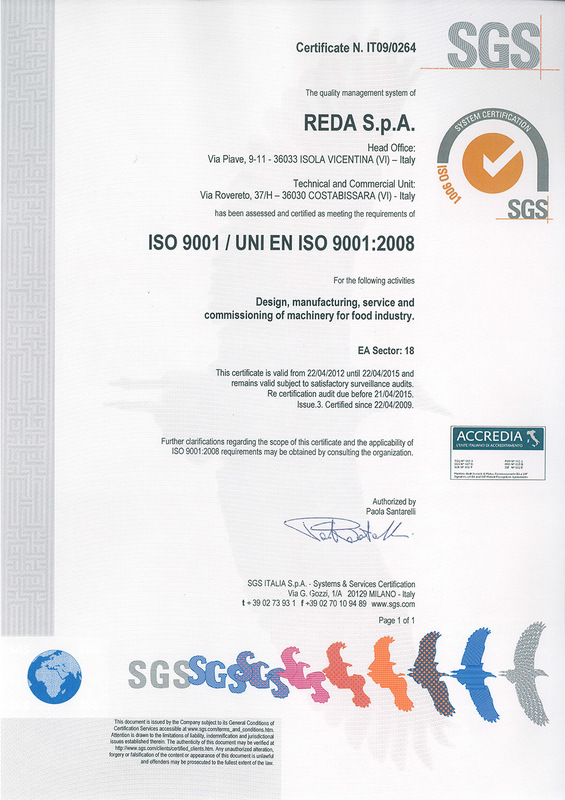 The obtainment of the Quality Management System certification UNI EN ISO 9001:2008 is the recognition for this daily endeavor that REDA puts in his structure and organization. A concrete testimony of our effort in the search, development and realization of plants and machineries with high technological content. The best way to answer more and more adequately to the demanding applications of the market.